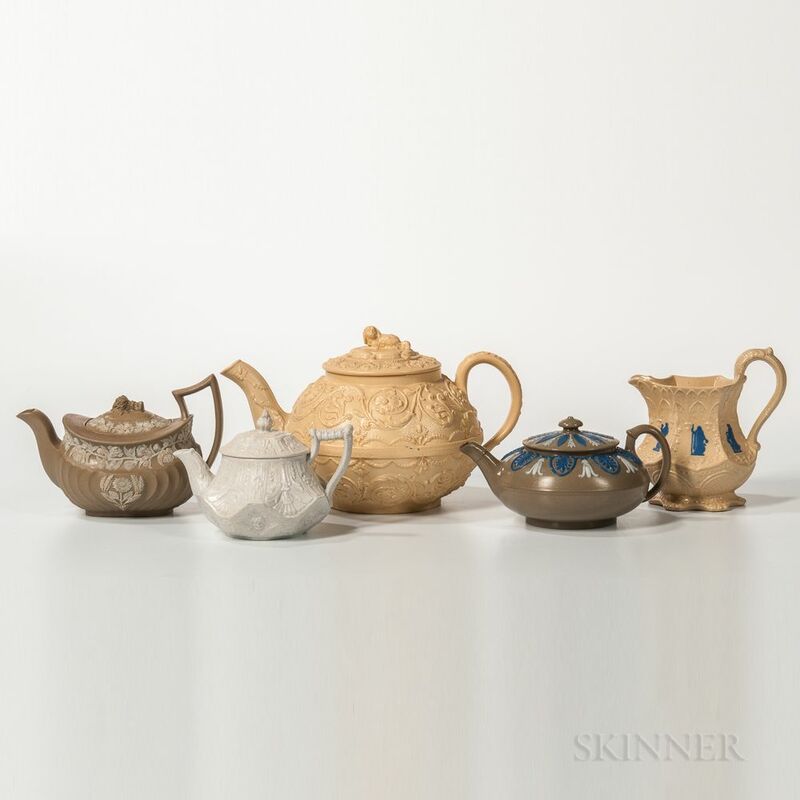 Five Wedgwood Dry Body Stoneware Items, England, 19th century, two in caneware: an arabesque-decorated teapot and cover with spaniel finial, lg. 10, and a gothic-style jug with applied blue classical figures in relief, ht. 5 1/4; two teapots in drabware: one with blue palmettes and white foliage, lg. 7, one with white relief, wheat finial and floral decoration, lg. 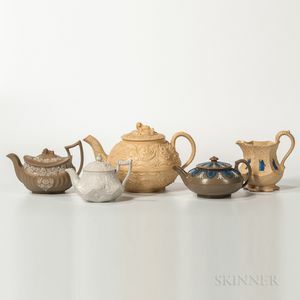 7; and a gothic-style smear glazed white stoneware teapot and cover, lg. 6 in. ; impressed marks. Cane teapot: Slightes chips under footrim. Cane gothic jug: in very good condition. Drab teapot w/blue and white: End of spout repaired. Drab teapot w/wheat finial: Staining to relief; chip to underside lip of spout. Smear glazed white teapot: Light even staining throughout.